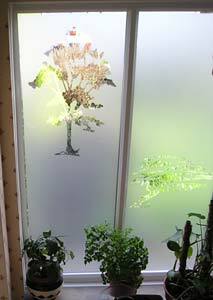 Banish the net curtains forever. 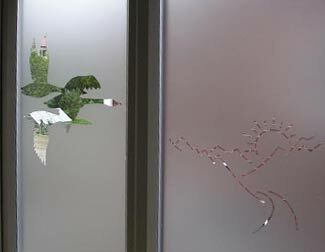 Use our sandblast effect vinyl on your glass doors and windows. 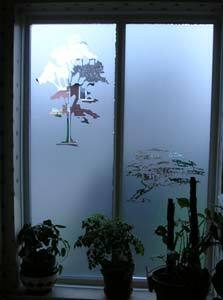 Lets the light through and at the same time gives you excellent privacy. It is completely washable and very easy to clean. 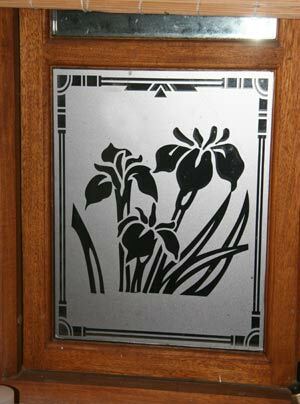 The window designs are cut from good quality sandblast effect vinyl normally used for exterior purposes. 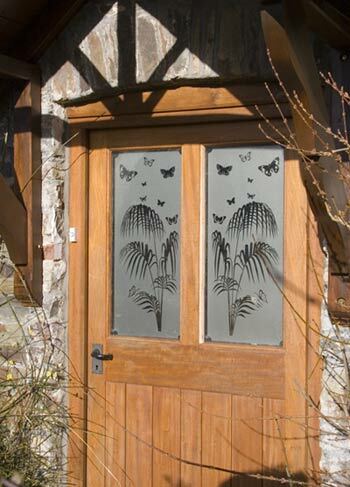 The design is supplied on application film ready for you to apply to the window. You just peel off the protective covering, carefully place the film on clean glass (inside facing outwards), rub hard and then peel off the application film. 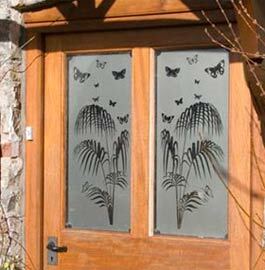 The design opposite is made of of two designs - PALM LEAVES.CDL and 7smBUTTERFLIES.CDL. 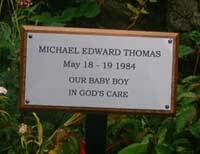 The butterflies were placed to suit panel. Order more than one item on the same vinyl for a £13 discount on second and subsequent items. 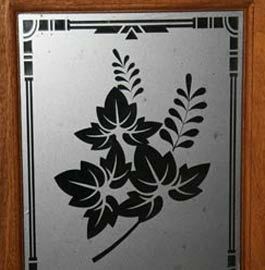 We have two types of sand blast effect window vinyl. 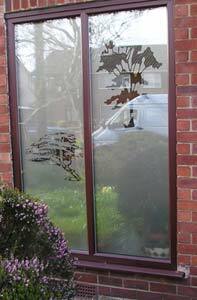 We have a range of Window Art Designs plus large range of Other Designs and Decorative Borders Avoid using images with fine lines. The first image or border is included in the cost. 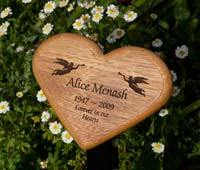 Further images available @ £3.75 per image. We can use your own image but this will incur an artwork charge. You can specify where you would like the image and how much of the panel you would like it to fill. 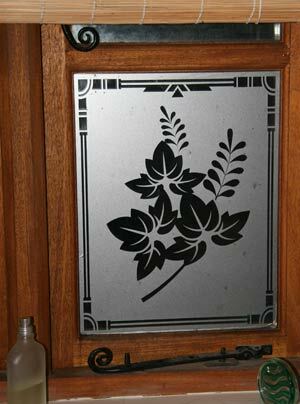 Vinyl Window Art is normally supplied with the adhesive on the front ready to apply to the inside of the window, facing out. 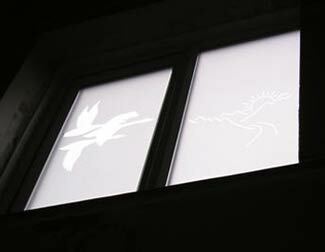 You can also choose fill the window panel with the sandblast vinyl and have the design cut out. Or you can just have the design in the sand blast vinyl and have the background removed.